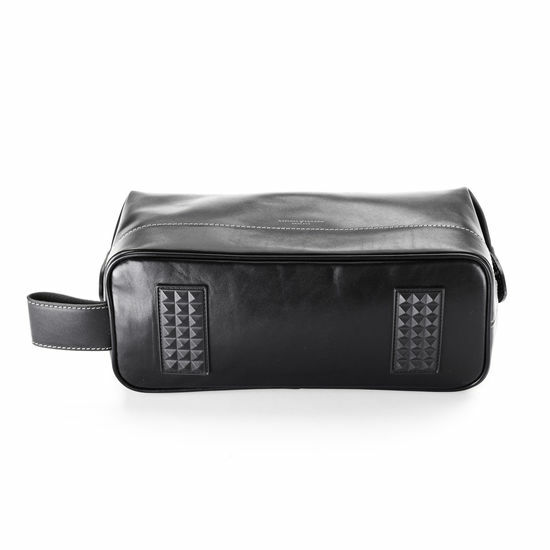 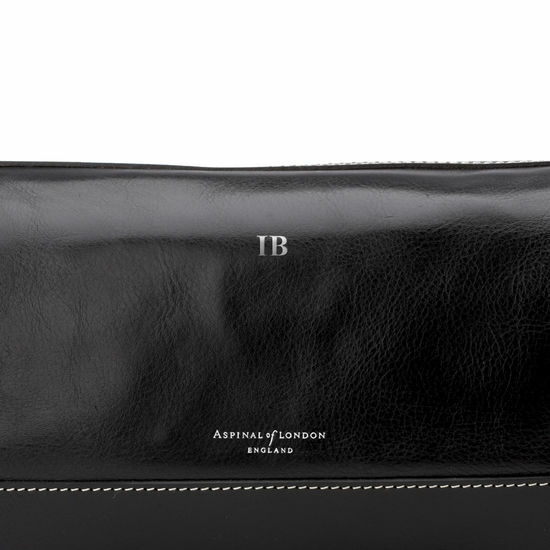 Undeniably masculine, our classic men's leather wash bag is the must-have accessory for every gent whilst travelling. 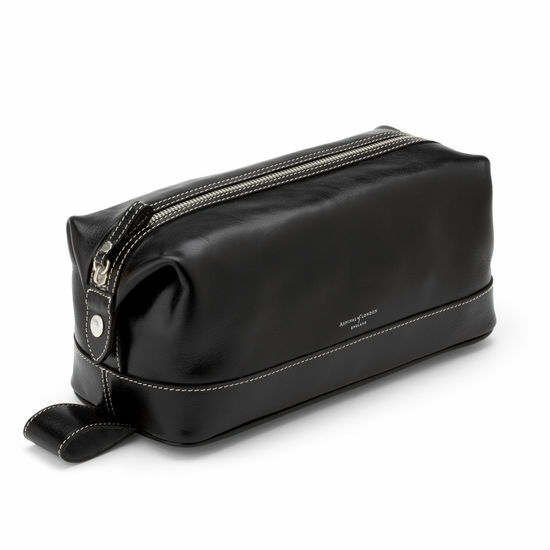 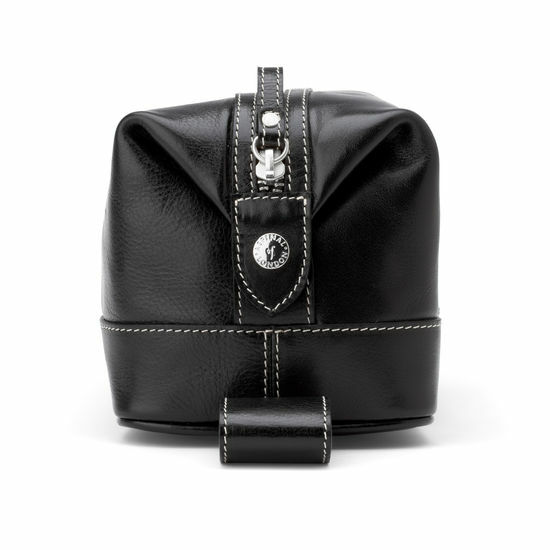 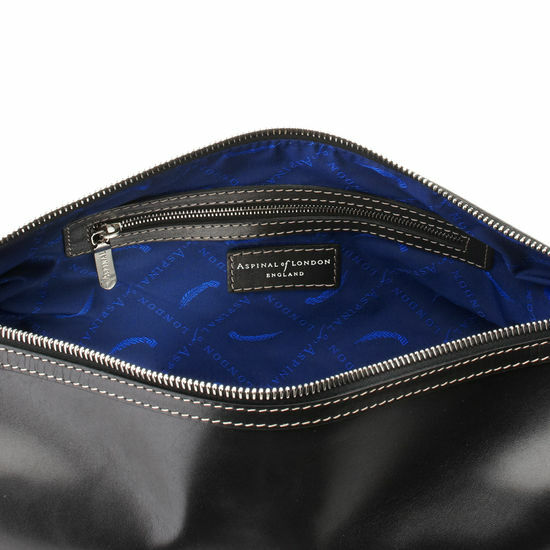 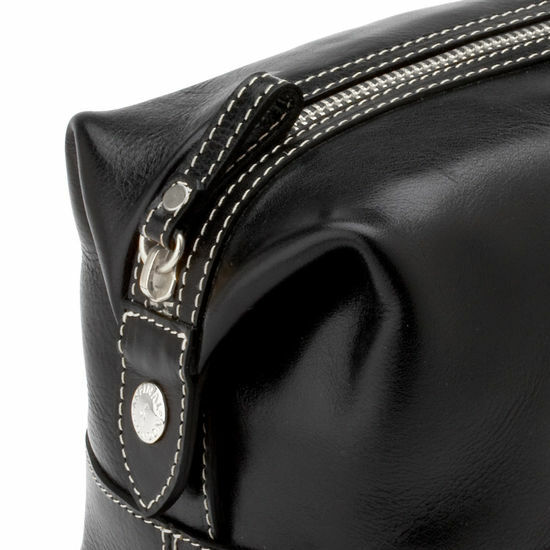 Handmade from the finest smooth black Italian calf leather accented by contrast stitching with a signature monogrammed silk lining which is wipeable, the spacious interior of this superior quality toiletry bag will easily accommodate all of your shaving and toiletry essentials. 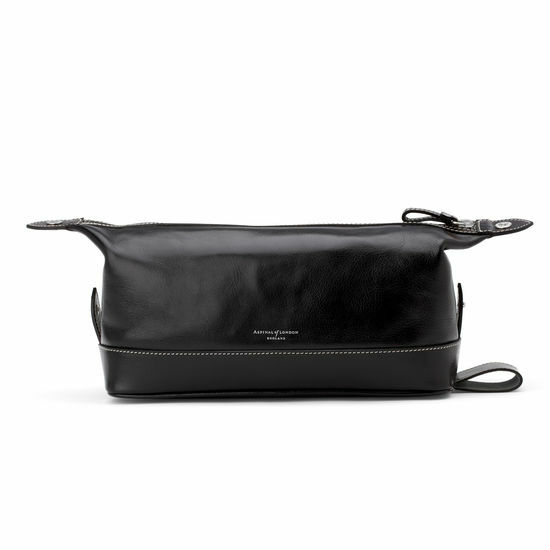 Featuring protective base feet, an internal zipped pocket and a handy carry/hanging loop, our men's leather wash bag will provide years of faithful service whilst on your travels.